Order in the next 1 hour for delivery on Thursday, May 2. For engraving, order in the next 1 minute for delivery on Thursday, May 2. Order in the next 1 hour for delivery on Monday, April 22. For engraving, order in the next 1 minute for delivery on Monday, April 22. 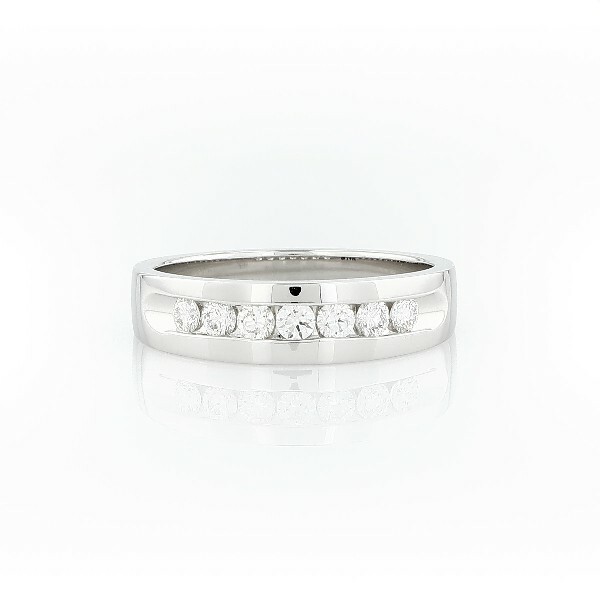 Make your love resonate with this enduring 14k white gold wedding band, showcasing seven illuminating channel-set diamonds.